A premium quality delicacy of boneless and skinned Greek Anchovy (Gavros) filets, marinated in the best fresh Mediterranean ingredients. 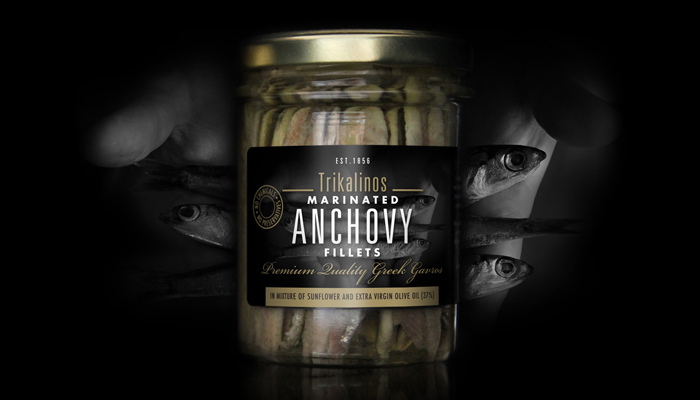 What makes Trikalinos Anchovy Fillets so special? The absence of preservatives, additives and any chemical processing. The best fresh ingredients of the marinade, keep the product delicious throughout its shelf life. An excellent snack for ouzo, raki and vodka accompaniment. Ideal when being part of the composition in a salad, pasta, pizza or seafood sauce. In order to preserve fresh and tasty, the fish fillets should be covered by the marinade and the lid must remain tightly closed. Store in a refrigerator at + 4 ˚ C.